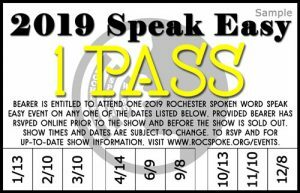 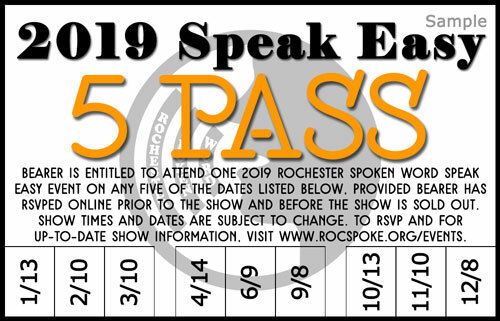 The Speak Easy 5 Pass gives you the flexibility to attend any five of our regular Speak Easy events at Cheshire for the 2019 season (excludes the higher-priced Rochester Cocktail Revival Event: Stories with Cocktails in June). 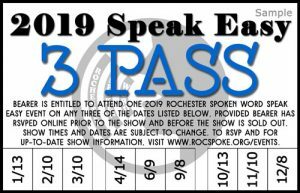 With the 5 Pass, as long as there are still seats available for your chosen show, you just need to RSVP on the show’s event page to guarantee admission and a seat. 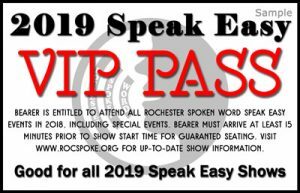 A limited number of passes are available.